Raising kids doesn’t come easy. Neither does running your own business. Both provide significant life lessons and great rewards. So, what about combining the two? No, I don’t mean raising kids AND running your own business. Many of us do that already. I mean having your kids run their own business. Or at least learn the ropes of what being in business means. I was recently shown two articles on just that. One was "The Values Entrepreneurship Teaches Children" by Dale Turken; the other "Why I Challenged My Kids to Start Companies Before College" by Ray Sheen. From a young age, that’s been my story. Someone said to me, “If I name it, you’ve done it!” And for the most part, that’s true. From fudge to firewood to firmware, I’ve done it, paying my way through college. Boy did I work hard in my fudge business! And the same applied to my firewood business. I did twice as much work as anyone else, driven by the need to succeed. And I can correlate what I learned to the three listed above. Success doesn’t come easy; it takes hard work. It pays to know what customers want and to have a pleasant manner. It's OK to fall, as long as you stand up again – and you can expect to fall! Lesson number three was a tough one for me. I honed my skills over the years starting successful business in countless sectors and industries. Going from success to success, I grew overly confident, never dreaming that failure was a possibility. I learned the hard way that I wasn’t invincible. But I picked myself up and continued on. Life is very different for the young people of today. My generation grew up believing that if we gave 20% more as we built our careers, we’d get the same back. But conditions and attitudes have changed and many today are settling for a day’s work for a day’s pay. I’ve been very impressed, though, with the calibre of some that have come my way—both in my business brokerage and in my capacity as a judge at the Canadian MBA Competition at Queens University in Kingston, Ontario. They have a big opportunity —they see emerging trends related to their age group that we don’t see. They can jump in and capitalize. Those who have come to my office are good with clients and staff and have made a success with their own small businesses. The three who‘ve made a strong impression on me recently are from outside Canada, have excelled at school and are responsible and mature beyond their years. One in particular stands out— a young man working in IT, a “star” making very good money but bitten by the entrepreneurial bug. 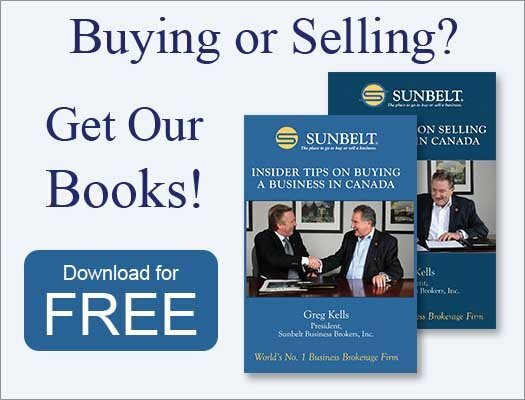 Having just sold him a company so he could get his feet wet in all aspects of business, I have no doubt that in 18 months or so, he’ll be ready to acquire another complementary business to add to his growing firm. As I mentioned earlier, I was also quite impressed with the calibre, work ethic, and thoughtfulness of the business teams I judged at Queens. Selected from across the country, all were outstanding. If they are representative of the next generation of entrepreneurs, Canada will be in good shape. 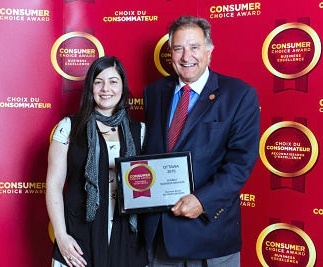 BTW: The photo shows my daughter Amy and me at the 2015 Consumer Choice Awards. And yes, Amy is now in business for herself after purchasing Golden Years Handyman Services a little over a year ago.